The Vulcan Sporting Goods Co. division launched a new line of tennis grips. 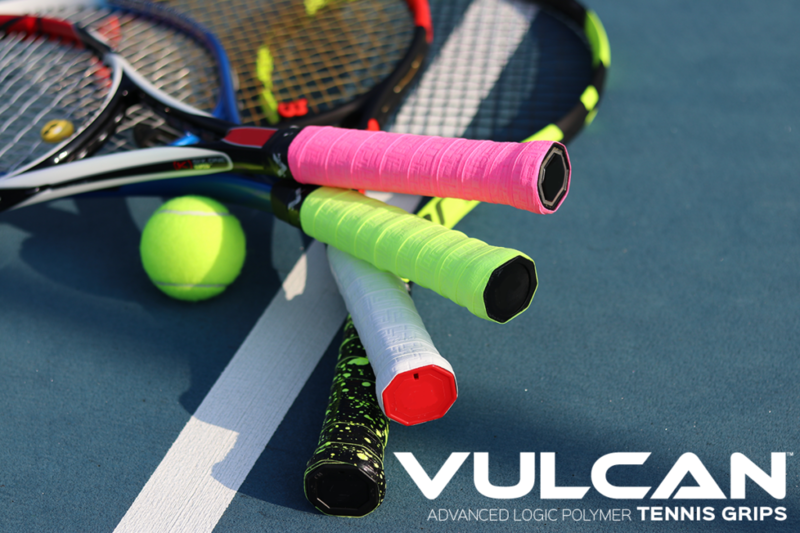 The Vulcan Max Control replacement grips offer the right amount of tack and cushion for a player’s racket. In addition, there are two series of overgrips. The Vulcan Max Cool overgrips offer a non-tack dry feel, and they are very absorbent and perfect for hot weather conditions; the Vulcan Max Trend overgrips offers light tack and light cushion, and it is a player favorite as temperatures cool in the fall and winter. Find out more about these tennis grips on the website. Tanners © 2016 All rights reserved.